This gluten free Christmas cookie recipe is sponsored by Diamond Nuts, a year long partner of Heartbeet Kitchen. I love using Diamond Nuts because they’re super fresh, come from family farms, and available in just about every grocery store. I have fond memories of the signature red bags always found in our kitchen pantry while growing up! Holiday cookie baking is in full swing! Are you the type that makes the same treats every year, or switches it up? 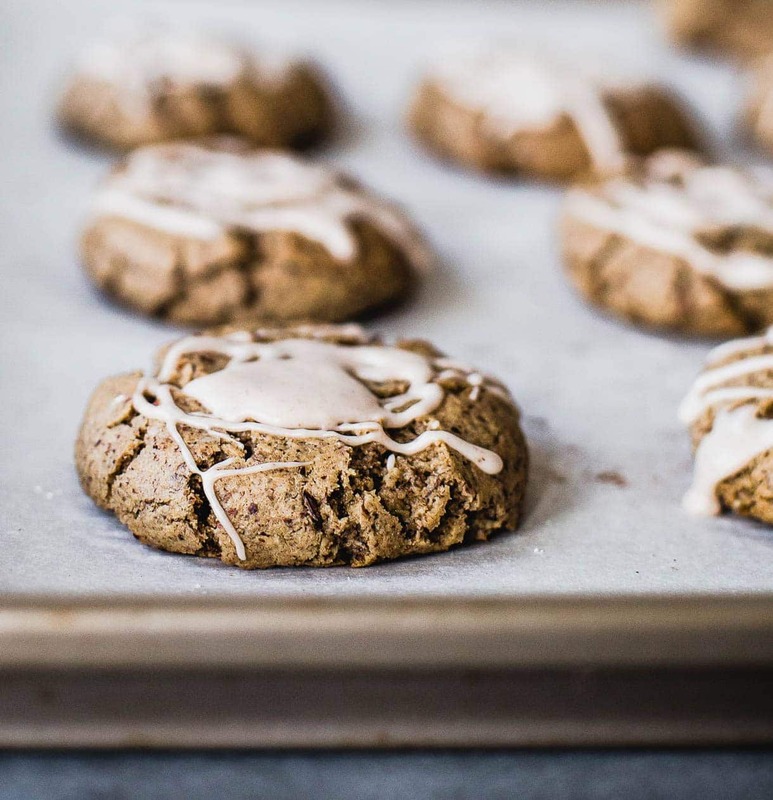 I do a little bit of both, but these Peppermint Chocolate Crinkle Cookies are a non-negotiable. Peanut butter blossoms too. 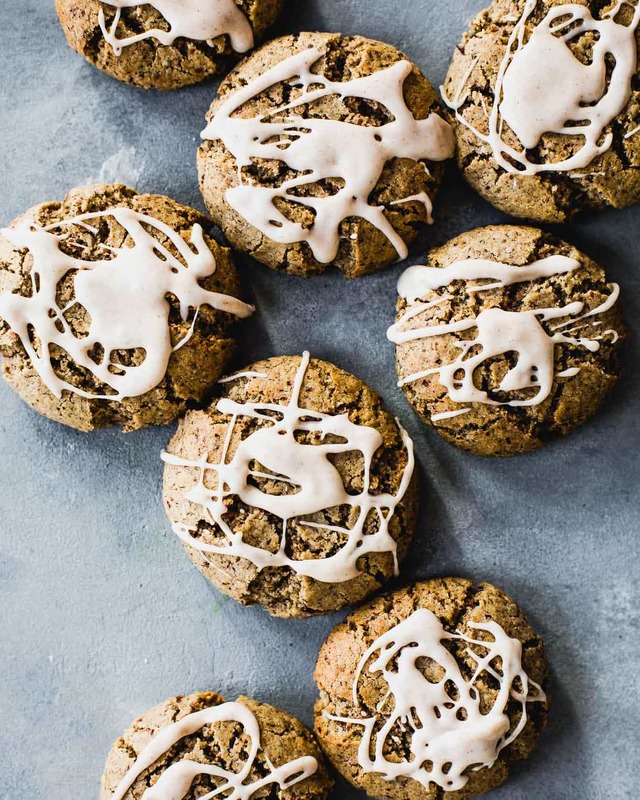 And the newest gluten free christmas cookies to make their way into regular rotation…..
Best summed up as butter pecan cookies meets snickerdoodles. And yes, they certainly do go wonderfully with coffee, making them breakfast material during holiday chaos when you just don’t have energy to make anything else. 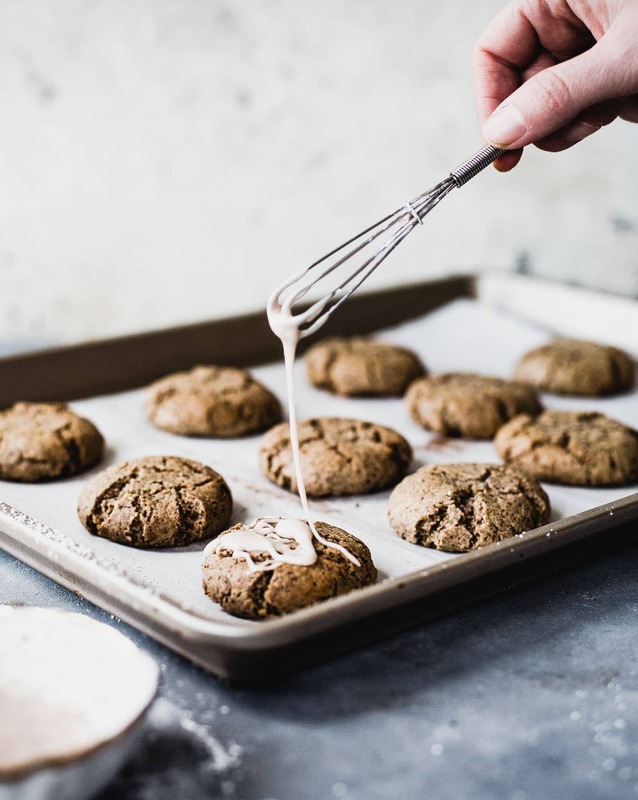 They’re inspired by my friend Sarah’s gluten-free snickerdoodles, which I’d made before and quickly fell in love with their pillowy, puffy texture. Softer and fluffier than the classic version, a true feat! 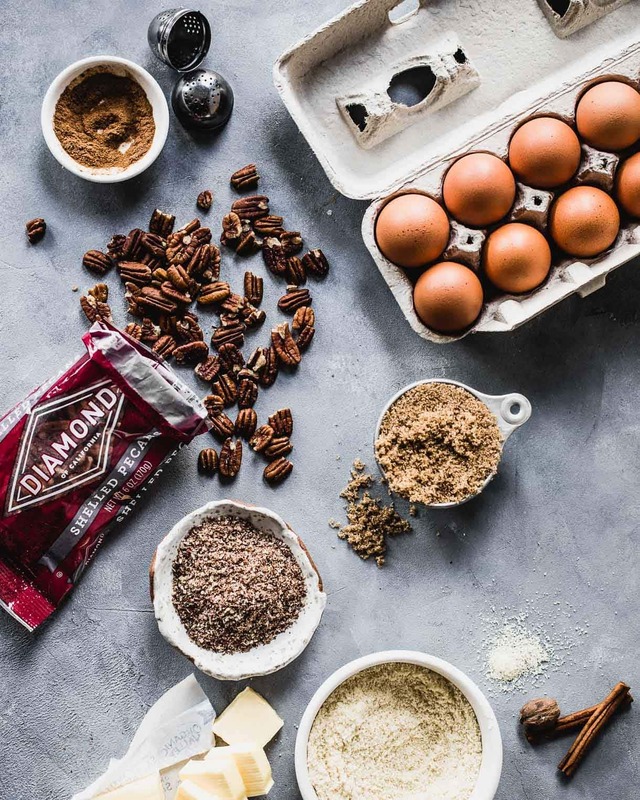 Working with my pals at Diamond Nuts, I wanted to create gluten-free christmas cookies that were nut forward, using ground pecans and almonds, infused with loads of warm spices and brown sugar. A recipe that makes the house smell like tradition, and taste like holiday bliss. Drizzled with white icing, a nod to the snowy season. 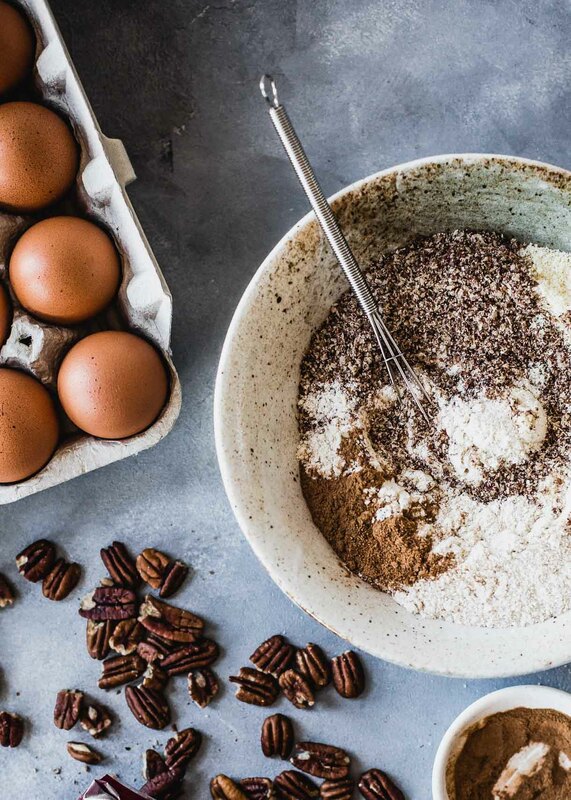 How do I make ground pecans? I use a designated coffee grinder to do this, a very inexpensive way to grind small amounts of nuts, seeds, and spices. It will grind the pecans until they’re fine and sandy, which is exactly what you want. I don’t like nutmeg. Can I use a different spice? Yes! Cardamom would be a great substitute. Is the icing a must? I personally think so. I left the cookies on the less sweet side because the icing is made from powdered sugar. It also is a texture thing. I love the little crack of icing against the soft cookies! 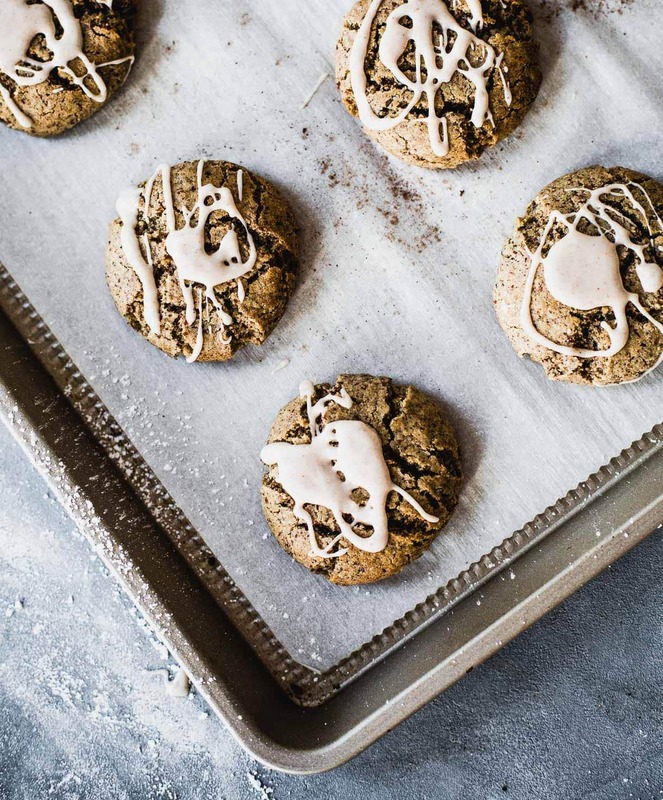 Can I make these cookies several days ahead for a holiday party? Yes! They actually get better a day after they’re made, as the spices really come through. You can make up to two days ahead of time, and store in a covered container. If you make these Pecan Gluten-Free Christmas Cookies, be sure to tag me on instagram @heartbeetkitchen, or with #heartbeetkitchen! In a stand mixer, cream butter and sugar on medium speed for 3 minutes until light and fluffy. Add egg and vanilla and mix on low speed to combine. In a separate bowl, combine almond flour, ground pecans, tapioca starch, sorghum flour, salt, baking soda, cinnamon, cloves, and nutmeg. Add 1/3 of dry ingredients to stand mixer, and mix on low to combine, then add the next 1/3, then the final 1/3. Mix until completely combined and no flour streaks remain. 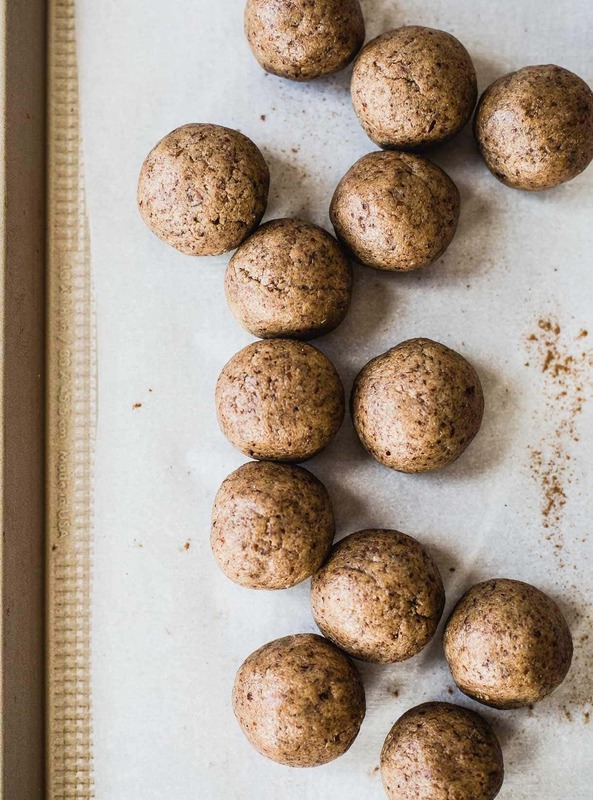 With your hands, roll dough into 1 1/2 inch balls and place on a parchment lined baking sheet. When finished, put pan in freezer for 20 minutes. While pan is in freezer, preheat oven to 350 degrees F. Bake for 11 minutes and remove from oven, and let cool on pan for 3 minutes. 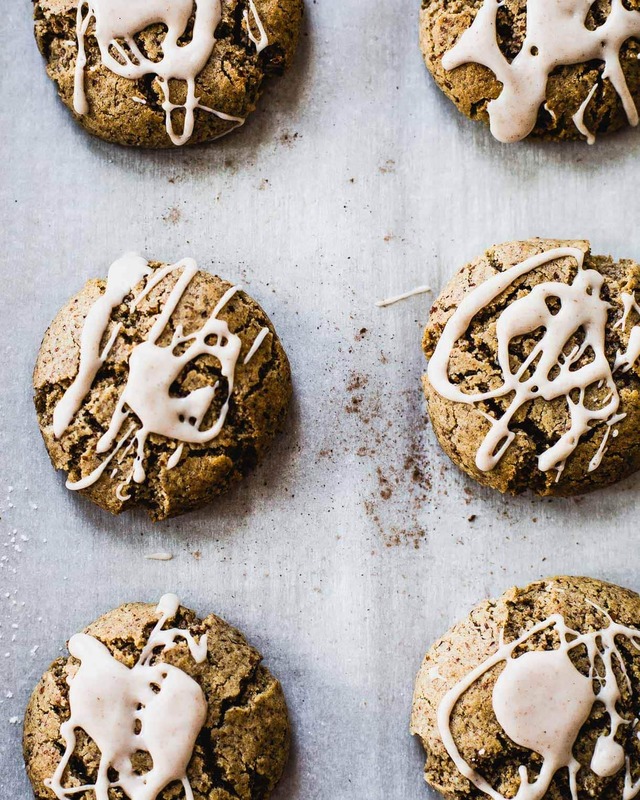 Mix all icing ingredients together, and when cookies are cool, drizzle. If you make ahead of time, store covered in an airtight container, with parchment in between layers so icing doesn't stick. 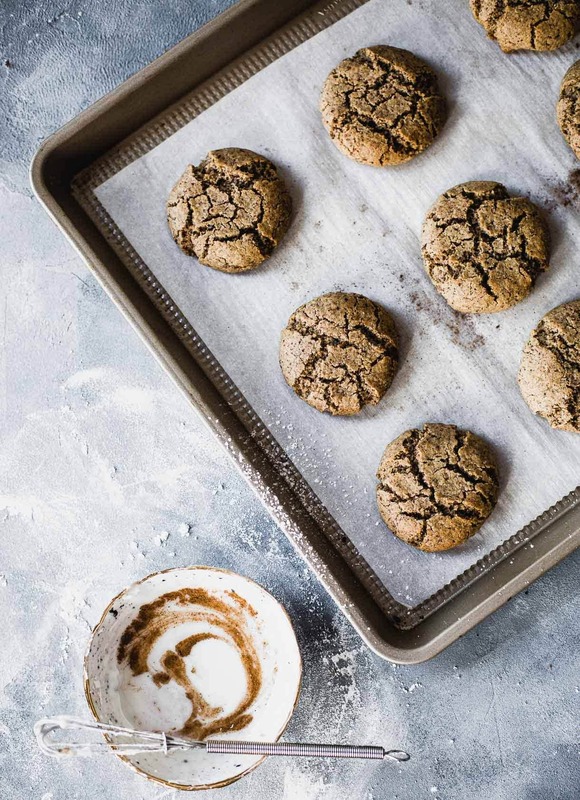 Adapted from Snixy Kitchen's Gluten-Free Snickerdoodles. Can you convert grams to ozs. in this recipe? Have no idea how much to use. Thanks! Pecan g free cookie recipe. Amanda, it’s really awesome! This will quickly become a favorite in our house!